Microphone selection and placement is an art. These placement tips can help you get started but there are multiple ways to mike any instrument, and the mics you select will affect the optimal placement for a given application. Some of these microphone-placement suggestions can be used in live applications, as well as for studio recording. We encourage you to experiment with different techniques and to search the Web and visit your local library or bookstore for books, magazines, instructional videos, and other sources of information. 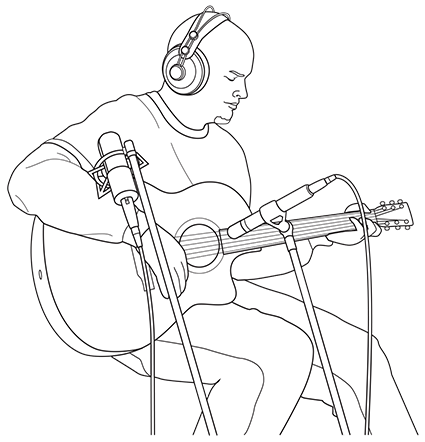 Place one microphone above the high strings and one microphone above the low strings. Experiment with distance (the farther back the more room you will capture). This technique can be used for live and studio applications. 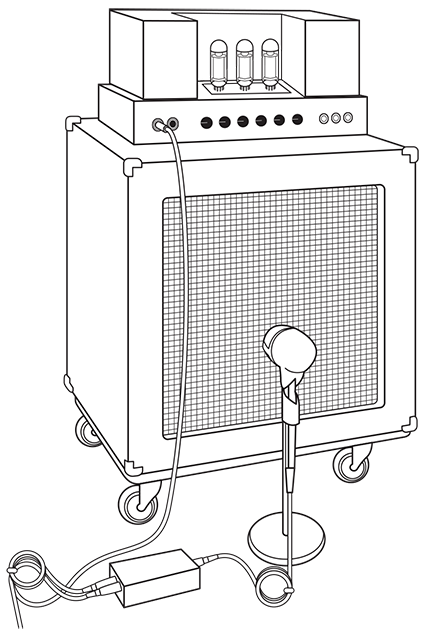 Place a dynamic microphone an inch or two away from the speaker of the guitar amplifier. Experiment with exact location. If you are recording an amp with multiple speakers, experiment with each one to see if one sounds better than the others. To use this technique in a live application, omit the condenser microphone. Point a small-diaphragm condenser microphone at the 12th fret, approximately 8 inches away. Point a large-diaphragm condenser microphone at the bridge of the guitar, approximately 12 inches from the guitar. Experiment with distances and microphone placement. Plug the electric bass guitar into a passive direct box. Connect the instrument output from the passive direct box to a bass amplifier. Place a dynamic microphone an inch or two away from the speaker and connect it to a StudioLive microphone input. Connect the line output from the passive direct box to a line input on a different channel of the StudioLive. For recording, place these signals on separate tracks. During mixing, you can blend the direct and amplifier signal to taste. This technique can also be used in live applications. Place two small-diaphragm condenser microphones on an XY stereo-microphone holder (bar). Position the microphones so that each one is at a 45-degree angle, pointed down at the drum kit, approximately 7 or 8 feet above the floor or drum riser. Experiment with height. This technique can be used in live applications as well. 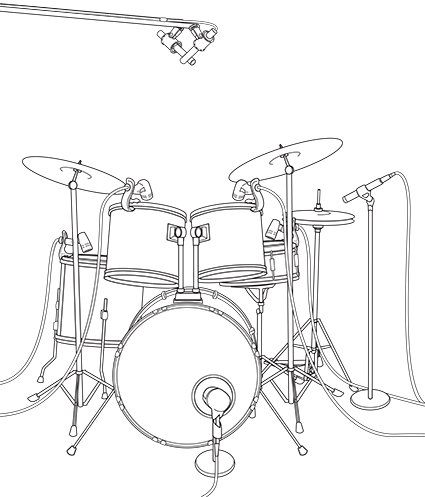 Point a dynamic microphone at the center of the snare, making sure it is placed so that the drummer will not hit it. 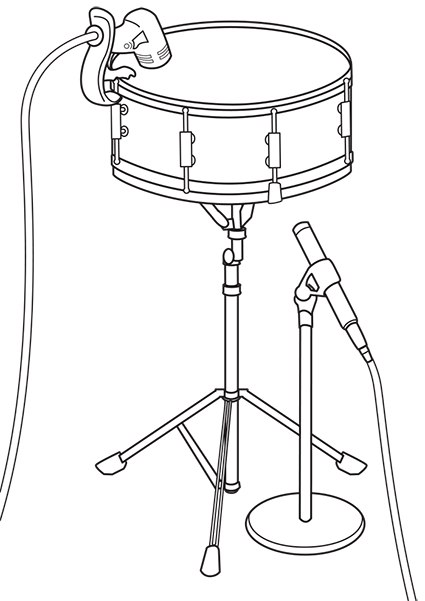 Place a small-diaphragm condenser microphone under the drum, pointed at the snares. Experiment with the placement of both microphones. Also experiment with inverting the phase of the bottom microphone. This technique can be used in live applications.